HayLoft In The Grove is a timber framed barn built in the mid 1800's. It spent many years as part of a working dairy farm. The ground floor served as the livestock quarter and the original bullpen is still part of the structure. The “Loft” was used for storing loose hay that would be forked down through small chutes for use by the dairy cows. 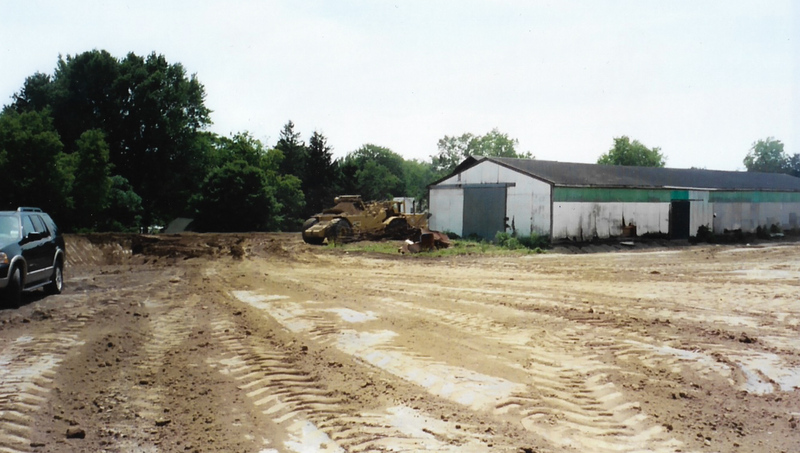 New owners acquired the farm in the late 1960’s and eventually it became a large horse boarding and training facility. Horse stalls were constructed on the ground floor of the barn and a new structure was built nearby for use exclusively as stables. At its peak, approximately 40 horses were boarded on the property. Also constructed was a quarter-mile track for the sulky racers to train surrounding a fenced in paddock where the horses were let out to roam. 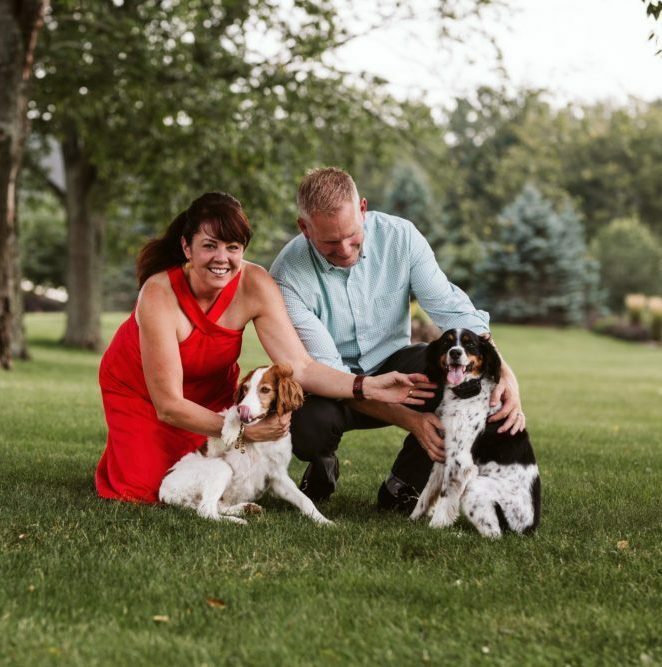 Jeni and Jason Burford purchased the property in 2007 along with approximately 100 acres of the original farm. The barn was truly showing its age. The roof was in a sad state with holes the size of a small tractor. The entire structure was starting to collapse under the weight of more than a century and a half of existence. 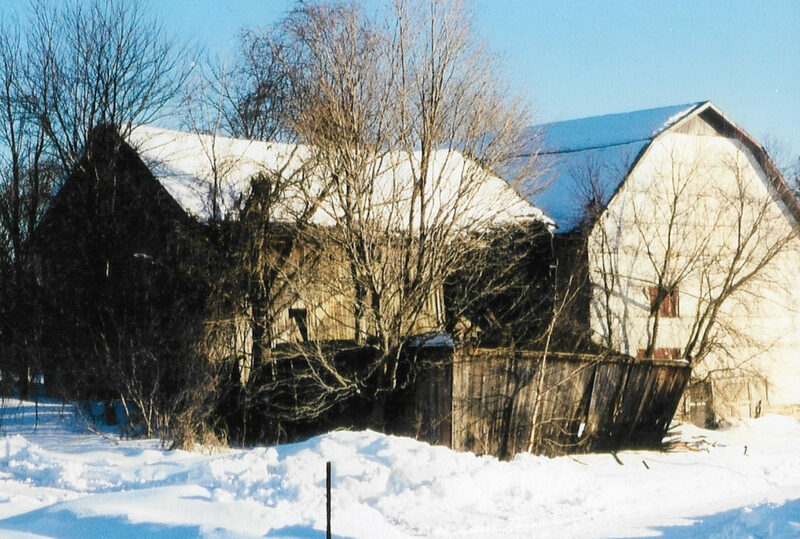 Instead of tearing the barn down, Jeni and Jason saw it as a true treasure worth preserving. Interestingly enough Jeni’s grandfather, Alvin Clifford Folts, was a sulky driver. We still have his jacket and hat on display. All of the deteriorating horse stalls in both buildings were removed and new concrete floors were installed. The space was intended to be used for storage for a number of years. 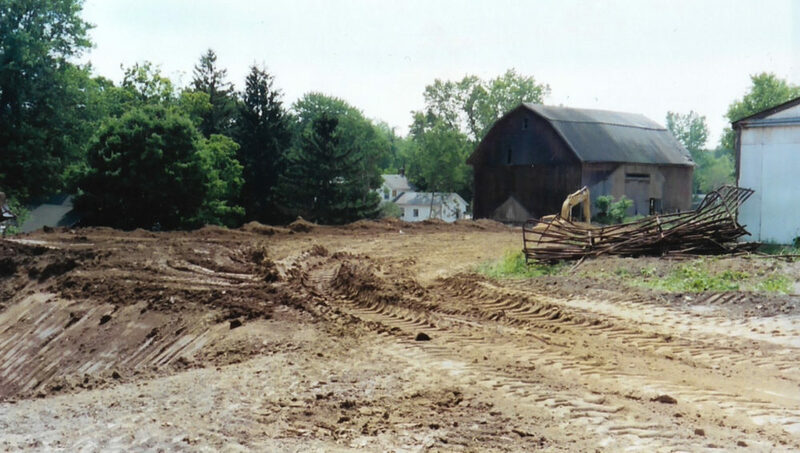 In December of 2008, the HayLoft barn started to be returned to its former glory. 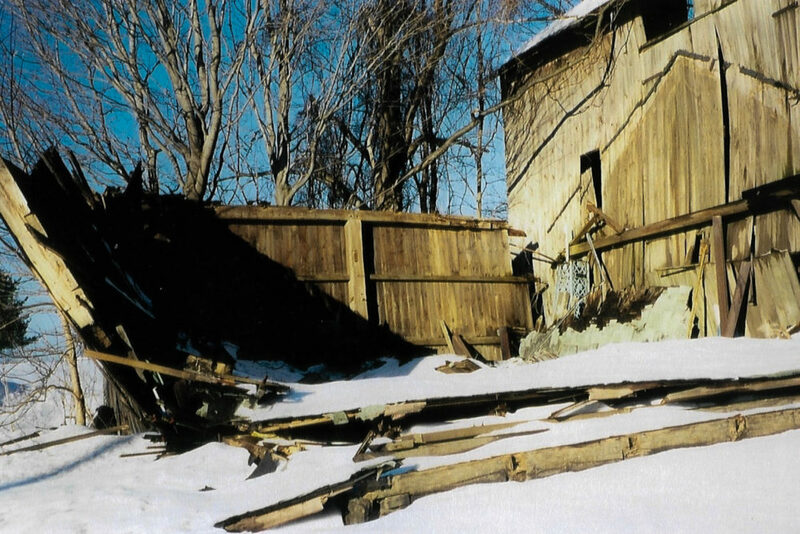 Amish craftsmen started work on the barn, stripping the entire roof during a snowstorm. The weather did not stop them over the next few months as they wielded the tools and skills required to restore and reconstruct the HayLoft. The hemlock siding was harvested in the spring of 2009 specifically for this project. All windows have kept their original location and style, all being handmade by an Amish window restoration expert. The separate stables building remained a storage facility until the Winter of 2018-Spring of 2019. The original wooden walls cried out to be seen after a decade of being hidden. Thus, the birth of the HayLoft in the Grove Stables which we now use for indoor ceremonies and petite events. Instead of stalls filled with horses, we now have seating for all guests on pews-some of which date back to the 1920’s (wait until you see these)! Now the property that started as a farm nearly two centuries ago, is back with a clean, rustic and elegant appeal for you and your friends to enjoy. We can’t wait to share it with you! 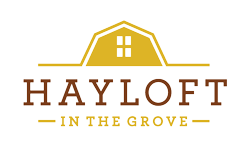 We can’t wait to show you the HayLoft, and hope you love it as much as we do. 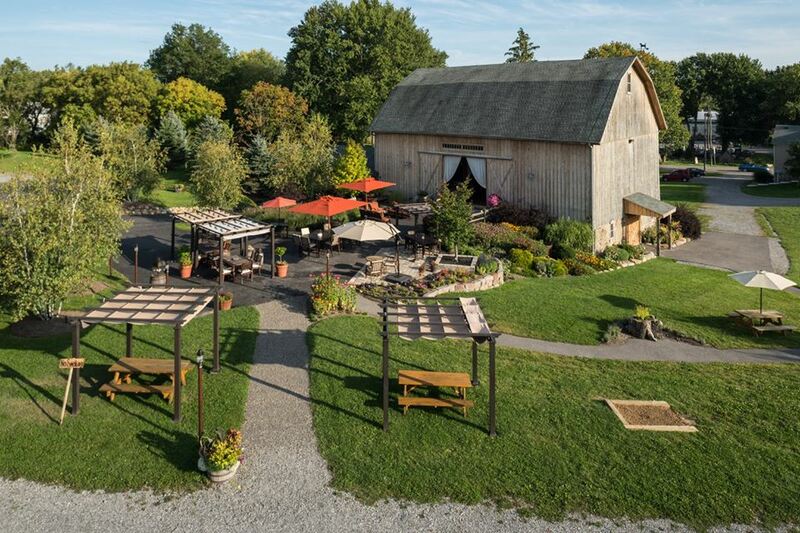 We enjoy getting to know our clients and their guests while sharing the rich history of the barn. We collaborate with local vendors to make your experience here unique and memorable. Our style is in the extra details. We have a reputation for delivering creative and unique events. We’re sure you will enjoy the relaxed elegance of the HayLoft and working with our amazing team. 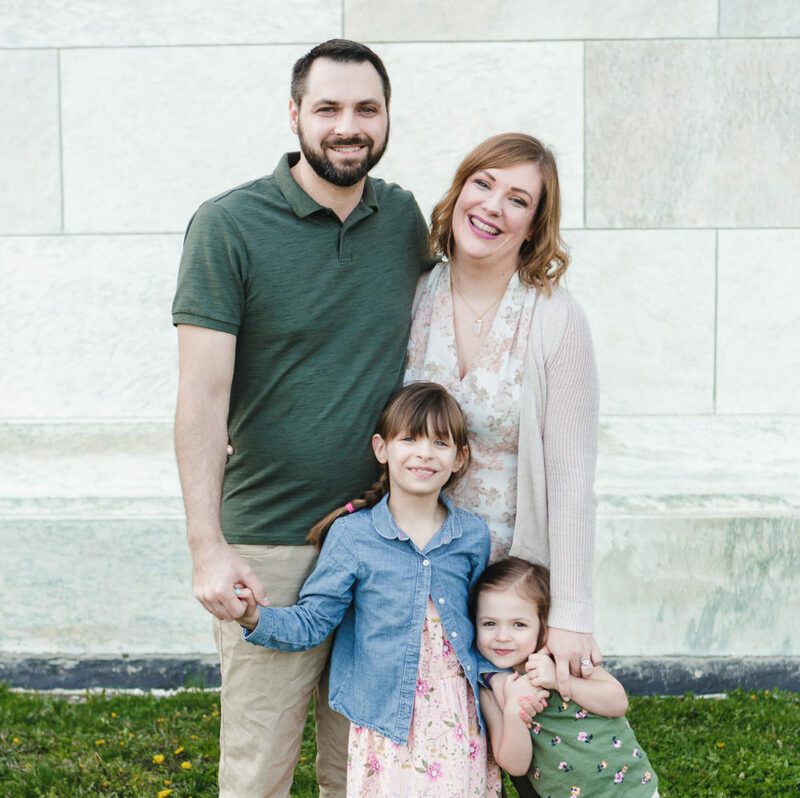 With four years of experience owning her own wedding planning business, Liane comes to us with the experience and skills to make your wedding day everything you've imagined. She spends a lot of time getting to know her clients and she enjoys customizing every aspect of your event.